​Attractions in Cresco and Howard County focus on recreation - indoor & outdoor, multiple museums, public art displays, historic landmarks and other attractions and events. Come Play! 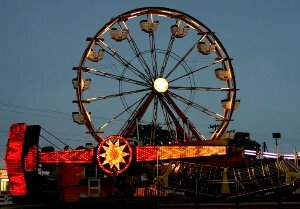 ​​The Mighty Howard County Fair offers the best 5 days of fun and family events/activities the area has to offer. Affordable entertainment options, free entertainment, fair foods of all types and tastes and the opportunity enjoy social time with your neighbors and friends make the Fair a 'must do' event for all featuring grandstand and free grounds entertainment, youth and open class competitions, fairgoer contests, Evans United Shows on the midway, food and commercial vendors plus other areas of entertainment and educational activities. Find us at 220 7th St W, (563) 547-3400, MIGHTY Howard County Fair, on Facebook at MHCFair and Twitter @mhcfair. The third full weekend in September, Cresco hosts the Norman Borlaug Harvest Fest. Beverage Garden and much more! Call (563) 547-3434 to find out more information. The theme for the parade is "The Life and legacy of Dr. Norman Borlaug" and is open to anyone free of charge. To raise community and visitor awareness to a form of art not often seen outside museums and galleries, Cresco is dotted with over 45 sculptures of children featured outside of historic buildings and landscapes. 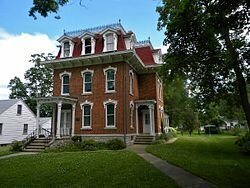 This is a great walking tour of a picturesque town in Northeast Iowa that residents and visitors alike enjoy all year round! This popular event takes place on the first Sunday in August. Take a walk, and maybe a fishing pole, on Iowa's first Rock Arch Rapids. This innovative fish ladder replaced a 150 year old spill-water dam reconnecting hundreds of miles of river habitat. Over 280 feet of pools and rapids showcase this stunning new recreation area and is located at the nd of the Prairie Springs Recreational Trail. 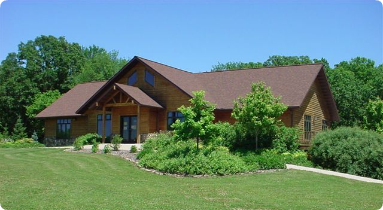 While you are there, leave enough time to tour the Prairie's Edge Nature Center and check out the newly renovated and spectacular displays of wildlife and plants native to our area. Next door is the ever-popular Turkey River Campground enjoyed throughout the camping season. Find us at 11562 Valley Ave, (563) 547-3634 and on the web at ​Howard County Conservation. Calling all Foodies! 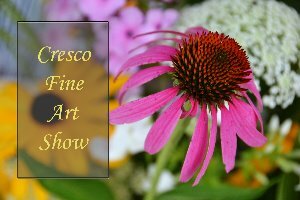 Stop in a the Cresco Farmers Market, Tuesdays and Fridays, 2:00pm - 5:30pm one block north of Hwy 9 on 1st Ave W and check out the local fare. 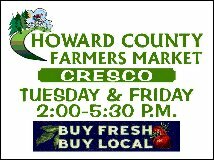 Find us at Howard County, on Facebook at Cresco and Howard County and on Twitter @crescoia. Tour the Boyhood Farm and Birthplace of Dr. Norman Borlaug and see why this gentle man is on ly one of seven people in the world to be awarded the Nobel Peace Prize, Presidential Medal of Freedom, and Congressional Gold Medal. Dr. Borlaug is credited with saving millions of lives by developing a hybrid of wheat that could be grown in places that previously could not. Join Cresco the third full weekend in September for the Norman Borlaug Harvest Fest and Inspire Day at the Borlaug Farm. Learn about the Borlaug statue in Statuary Hall in Washington DC as one of Iowa's only two statues. Find us on the web at Dr. Norman Borlaug. Schedule a tour of the Boyhood Farm at (563) 547-3434. Cruise to Cresco is part of the Norman Borlaug Harvest Fest. A weekend packed full of activities and events. Enjoy the Saturday Car Show with over 100 classic cars, antiques, sports cars, alternative energy vehicles, trucks, street machines, unfinished, tractors, rat rods, and motorcycles from all over the tri-state region all parked on North Elm Street in historic downtown Cresco. It's a sight to behold! Find us on the web at Cruise to Cresco. Genuine and amazing Iowans along with their athletic success in wrestling have a strong foothold in Cresco and the State of Iowa. Wrestling has always been in Iowa's bloodlines and the Iowa Wrestling Hall of Fame tells this story second to none. The Hall of Fame honors native-born Iowans who have contributed to amateur wrestling. Don't forget to check out the 40 foot mural just outside the Hall of Fame and see Dan Gable's autograph! Find us at 101 2nd Ave SW and on the web at Iowa Wrestling Hall of Fame. ​We Don't Look Over 100 years, Do We? All towns have old buildings. 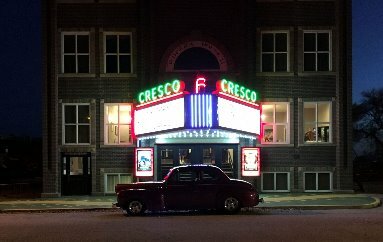 ​Cresco is no different, but what is unique is that Cresco has two, 100-year-old-plus buildings still being used as they were intended. The Cresco Public Library, built in 1914 at the cost of $17,500 as a gift from the Carnegie Foundation is still being used as a library today. The Cresco Theatre & Opera House, also built in 1914, was intended to showcase live performances and movies. 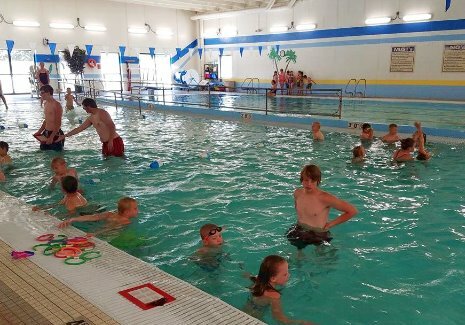 Recent improvements are a source of pride in Cresco. The marquee is restored to its original look with LED lighting, a new state-of-the-art projector offers 2-D and 3-D movies, and the spectacular interior will take your breath away! Entertainment at the Opera House is an experience you won't want to miss! Find the Library at 320 N Elm St, (563) 547-2540, Cresco Public Library, on Facebook at Cresco Public Library and on Twitter @crescopubliclibrary. Have you ever seen a vintage train up close and personal? Now you can! 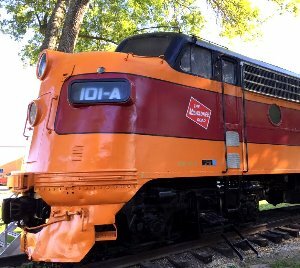 Admired and photographed by visitors, this uniquely restored 101A/Model FP7 diesel electric locomotive serves as a reminder of our community's founding based on local rail service. Built in LaGrange, Illinois in 1951, this was the first model ever sold to the Milwaukee Road Railroad line. It was purchased in 1984 by the community and restored to operating condition and donated to the Cresco Park Board in 1985. Stop by Beadle Park along Hwy 9 and see this magnificent display! 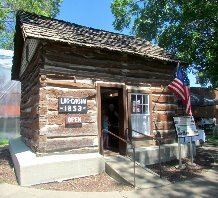 Fun for all ages, tour the Log Cabin in Beadle Park located on the north side of Hwy 9. Occupied continuously from 1854 to 1964, this cabin features original hand-hewn logs and is furnished with early artifacts. Feel what it was like to live in this two room cabin. To set up tours, call (563) 547-3434. Cresco is the home to the first stewardess in the world! 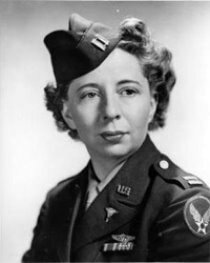 Ellen Church made many contributions to aviation and one of them was to devise a pilot program to bring nurses on board the newly proposed "passenger plan" back in the 1930s. Convincing the airlines that nurses on board would instill confidence in their passengers, they allowed Ellen to go forward with her program. It became such a success that the first "Air Hostess" was born which then evolved into "Stewardess" and today the "Flight Attendant". This woman from Cresco, Iowa started an entire industry! Have you ever been to a bio secure Ag Education Center? Probably not, because Cresco has the first of its kind in the nation. 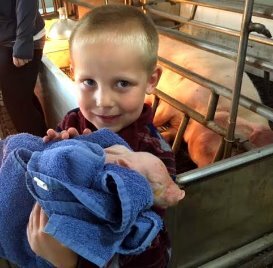 Experience baby pigs from birth to market as area youth learn valuable lessons raising animals. The Center features a swine, dairy, and sheep facility with state-of-the-art technology, innovative practices promoting agriculture in Iowa, and an air quality purification system deigned to be environmentally and community friendly. Find us at 220 7th St W, (563) 547-3400, and on the web at Ag Education Center. 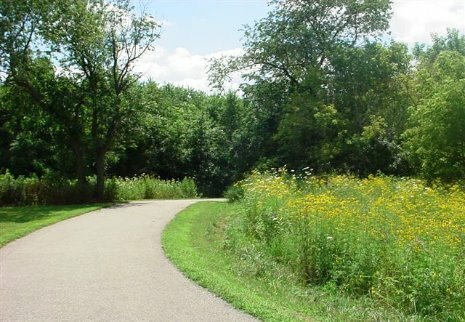 Whether walking, biking, or nature watching, the Prairie Springs Recreational Trail (PSRT) is a three mile paved trail accessed from downtown at Balk Park to Vernon Springs winding along the Prairie's Edge Nature Center next to the Turkey River. Along the trail are benches and picnic tables to stop and enjoy your moment outdoors. Breathtaking beauty and glorious displays of nature can be seen the entire length of this trail surprising the recreational enthusiast with prairie grass, flowers, rolling farmland, and shaded woods that brings you back to a less complex world. But the trail doesn't stop there! Connecting to the Prairie Farmer Recreational Trail, a paved 22 mile experience traverse through an old railroad bed offering views of rich Iowa farmland along the way. 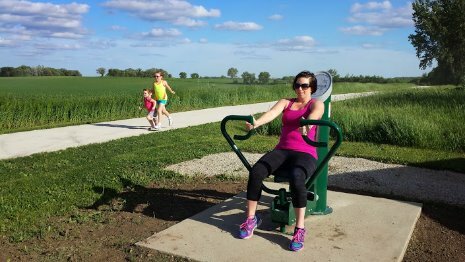 Cresco's Fitness Trail possesses outdoor fitness equipment strategically placed along the recreational trail (PSRT) and offers a workout for all ages and levels. Enjoy a run/walk and workout all along the trail because this scenic experience now adds a challenge to all fitness levels! 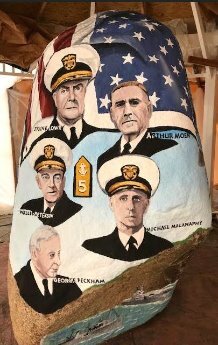 Howard County's Freedom Rock was painted by artist, Ray "Bubba" Sorenson, October 2017. Inspired by the movie "Saving Private Ryan", Sorenson is now on a journey to paint one rock per county. Our rock is just one piece of Sorenson's 99 piece puzzle honoring veterans and their stories. 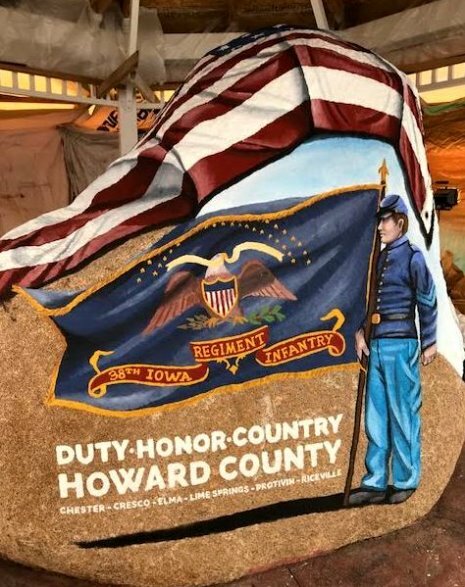 Find us along Hwy 9 in Cresco, (563) 547-3434, and on the web at Howard County Freedom Rock and learn the stories behind the pictures! Need more exercise? We've got day, week, and membership passes at the Cresco Fitness Center. Offering activities almost every day of the year, enjoy our zero-entry swimming pool, large hot tub, walking track, basketball court, batting cages, golf driving range cage, exercise equipment for all ages and much more. There is something for everyone a this premier wellness center. Find us at 316 3rd Ave E, (563) 547-3443, on the web at Cresco Fitness Center and on Facebook at Cresco Fitness Center.